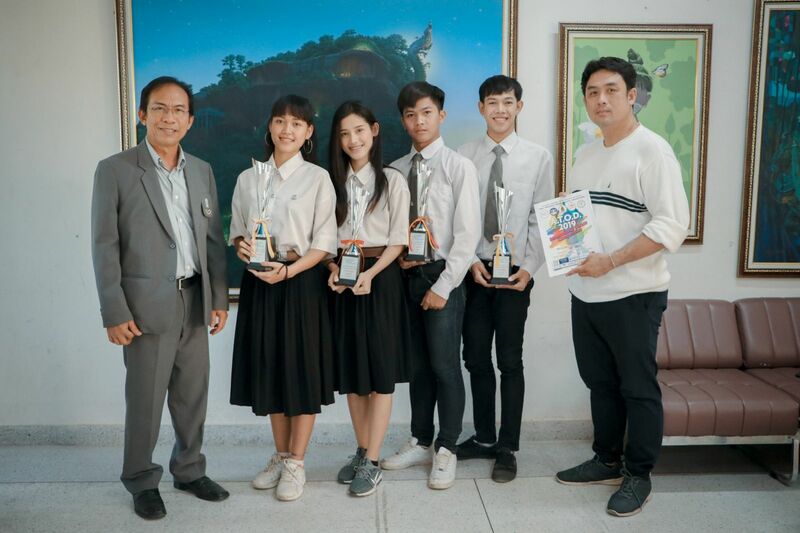 Mahasarakham University students with Assoc. 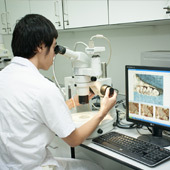 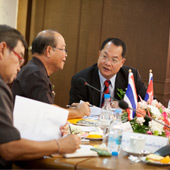 Prof. Dr. Sirimongkol Natayakul and Miss. 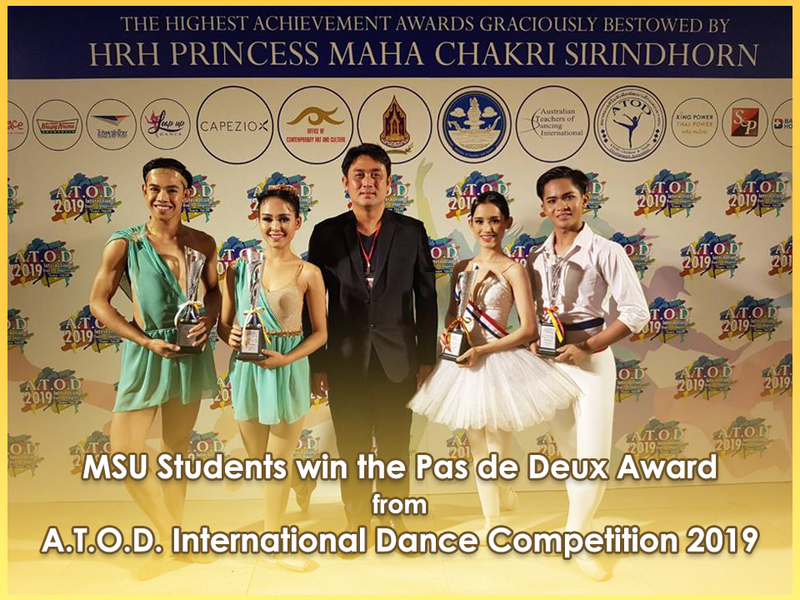 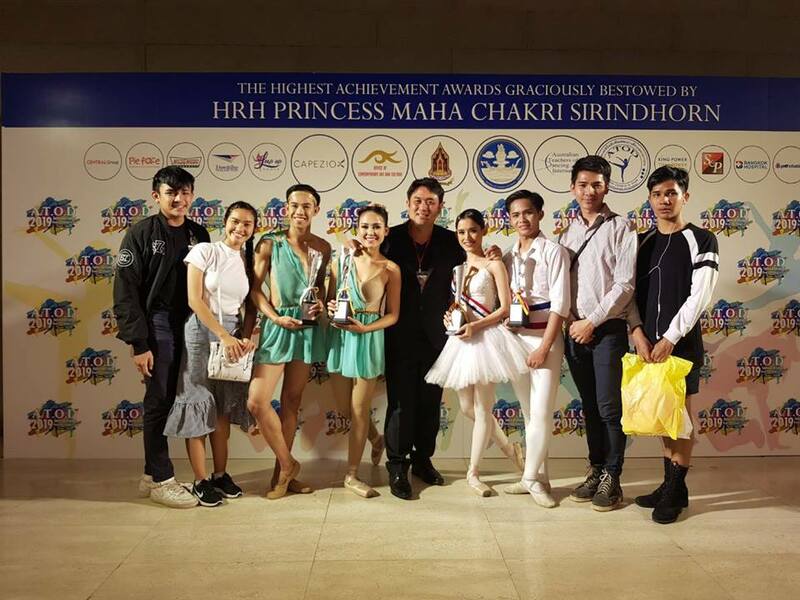 AJJAMAPORN CHAIVISUT, lecturers from the Faculty of Fine and Applied Arts, Mahasarakham University win the Pas de Deux Award from A.T.O.D. 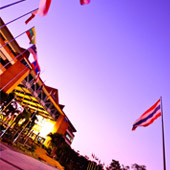 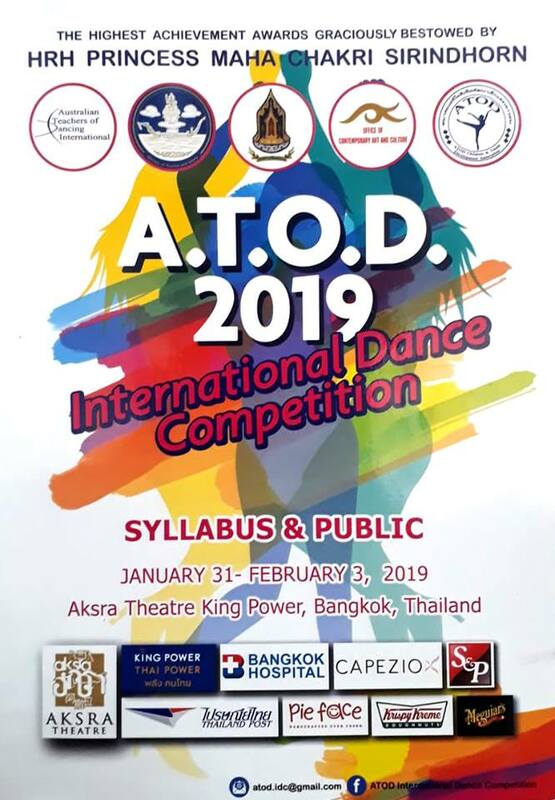 International Dance Competition 2019 at Aksra Theatre King Power, Bangkok, Thailand on February 2, 2019.